The Ink Trap: A new challenge at Kraftin' Kimmie Stamps: All White! 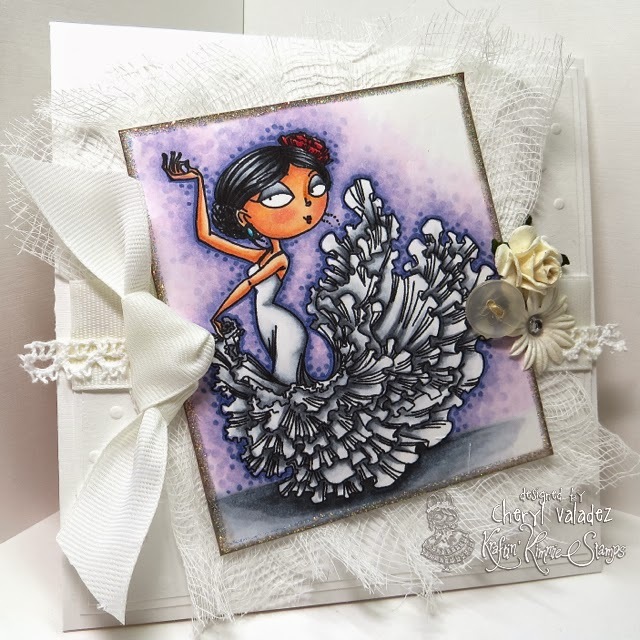 A new challenge at Kraftin' Kimmie Stamps: All White! Well, welcome back for a brand NEW YEAR of krafty challenges and much more at Kraftin' Kimmie Stamps!!! Hope you can play along as we've got another great challenge for ya to kick off 2014! It's awesome to see so many of you creating with KKS!!! Keep them coming! This week our hostess is STEPHANIE!! And her challenge is ALL WHITE!! So create a card, scrapbook page or altered item with a Kraftin' Kimmie stamp that is pretty much all white! Haha!!! Don't be scared! Sounds like a good challenge!! Join us this week because we'd LOVE to see your KKS designs. We hope you can play along for your chance to WIN some Kraftin' Kimmie rubbah!!! 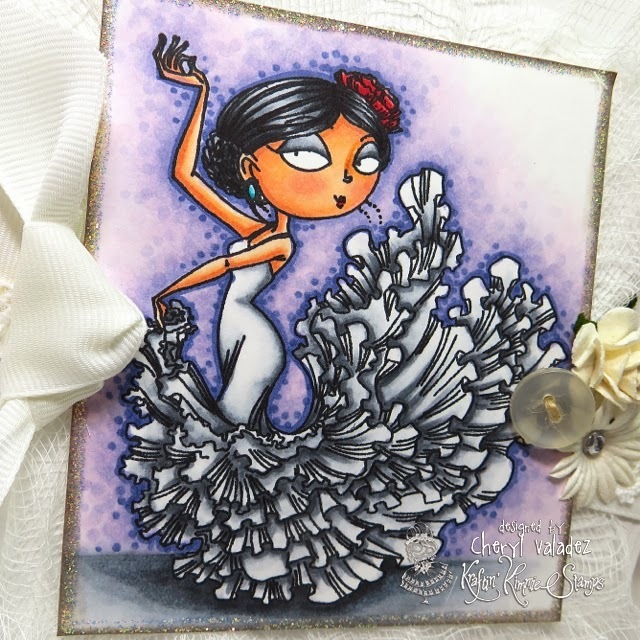 I was going to pick a quick and easy image to color, but as I flipped through all of my KKS stamps, I stopped immediately on Fernanda Flamenco and knew she was the one. She's not hard to color, but each of those ruffles needs a little attention even if the theme is white. After about an hour and a half, she was finally finished. After that, I was able to quickly add some solid white papers and embellies and voila! This is really awesome. I adore your cards, they are so lovely. Thank you for your inspiration! Beautiful work as always, Cheryl! Love this! !